We love, love, love Jamie Oliver’s Turkey and Leek Pie recipe and most often make it with Chicken instead. 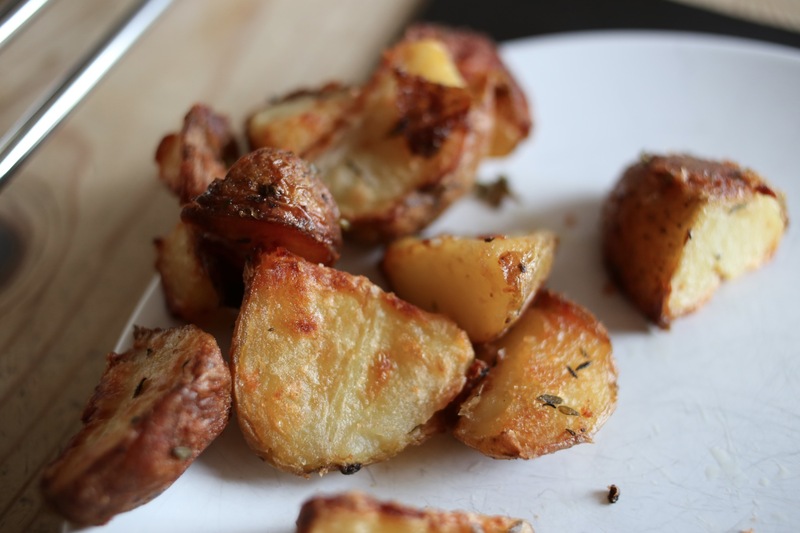 It is easy, quick and incredibly tasty. 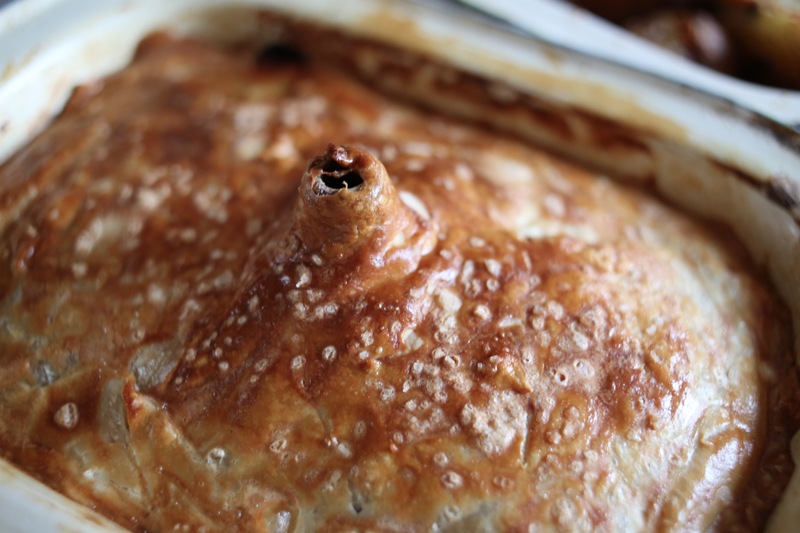 If you like a good hearty pie, then this is for you and since this june’s weather is a little unseasonal, it’s not out of place for supper with these low evening temperatures. Don’t cheat with the ingredients as it makes all the difference. We use our own stock because of the flavour and what it does for the gravy but a good quality stock would suffice. Where we do cheat is we use frozen ready made flaky pastry. I think that is allowed in order to make it as easy as possible. And quite honestly, I am RUBBISH at making pastry. You don’t have to do any trimming around the pie dish either because the pastry gets tucked in around the edges to tidy it up and nothing is wasted. I love it made in these old enamel tins just like my gran used to make her pies (that or an old plate that became unrecognisable from the crazing that the heat of the oven did to it). 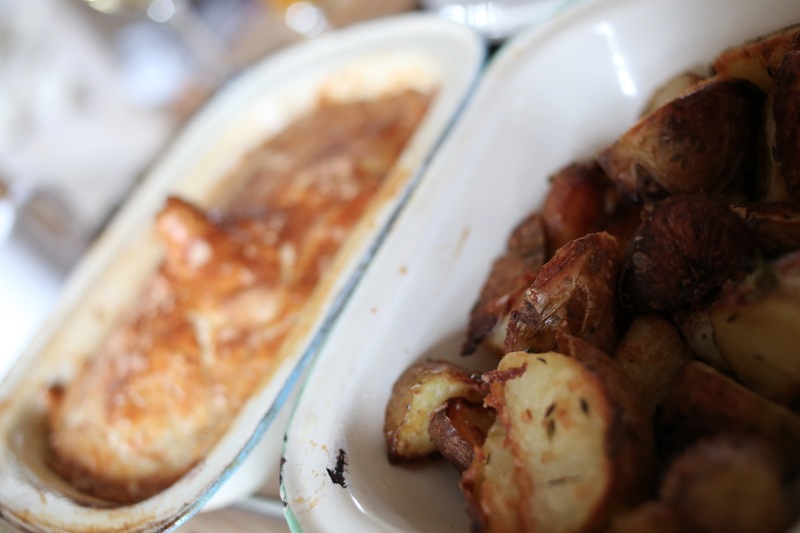 The best time of the week to do this recipe is a Monday or Tuesday night when you have the left overs from a chicken sunday roast. 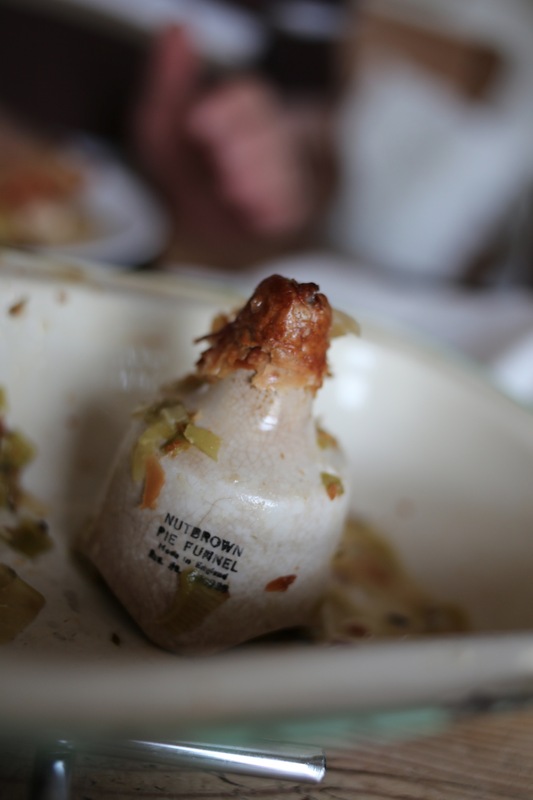 You have the chicken bones for the stock and you have the left over chicken meat to add to the leeks. 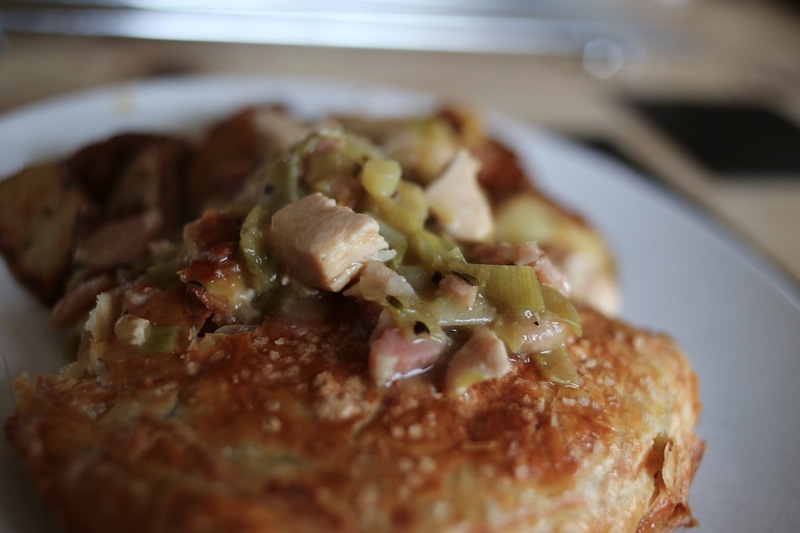 To be honest, we’ve bought a chicken specifically to make this pie and used the breast for something else. 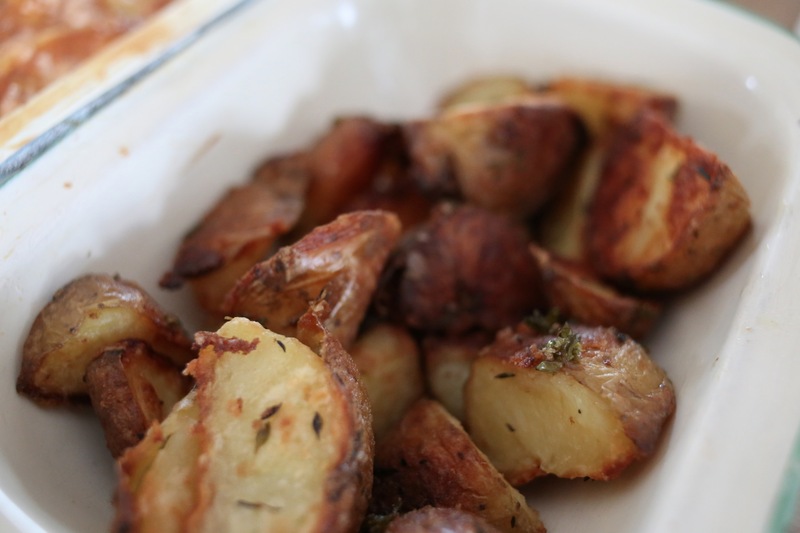 Combine that with some tasty roasties and a glass of crisp sauvignon blanc and you have all you need. 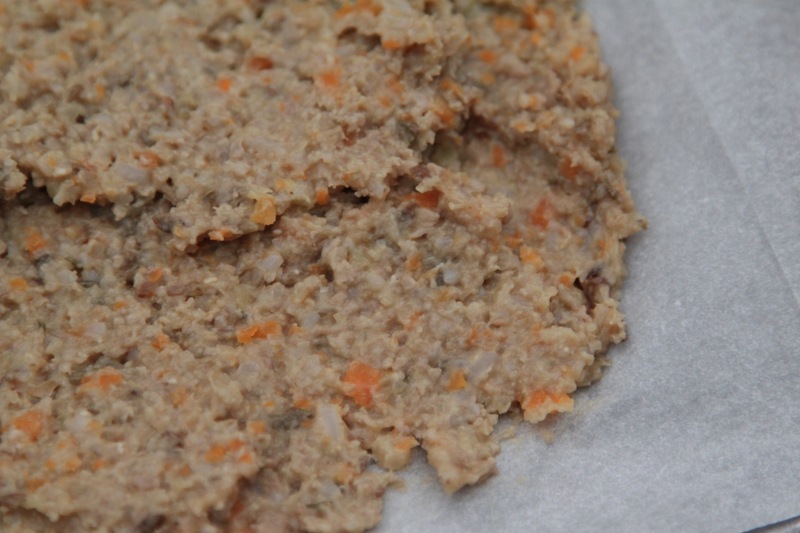 Our little terrier is on a raw diet to keep him fit and well and in an attempt to help with this atopic skin. Well technically, he’s on immunotherapy injections for his atopic skin but we are always hopeful that another route will prove effective. So to help with this, we feed him a completely unprocessed diet of raw meat and raw veg with added omega 3 & 6 and some vitamins. As close as possible to what he would eat in the wild I suppose. 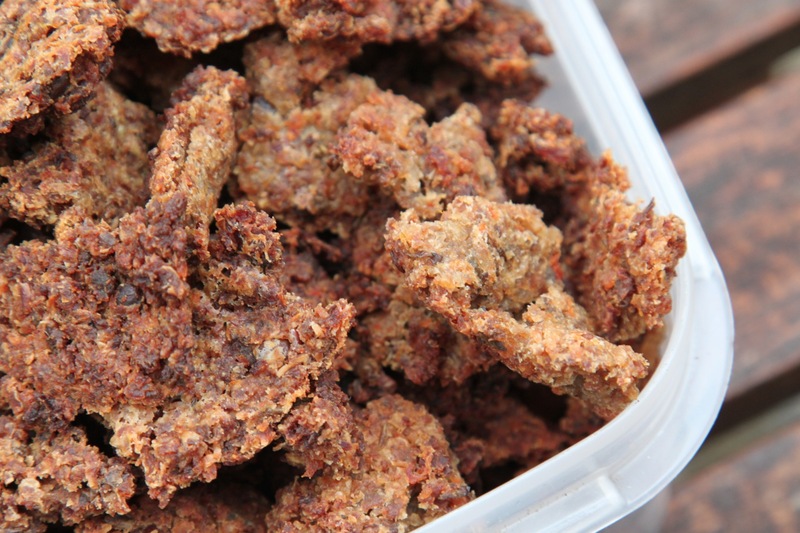 His treats are dried liver or Canine Connoisseur’s natural liver and cheese treats. I have long been suspicious of shop bought, mass produced dog foods; even those that purport to be holistic, organic or completely natural. The Furry One (Max to his general public) seems to do ok on his raw diet and we’re hopeful that it helps his poor skin. He certainly seems heathy enough on it and his gnashers are lovely and clean from the bones that form a key part of this diet. He might get a bit bored with it, even though it is very varied – lamb, beef, venison and oily fish). 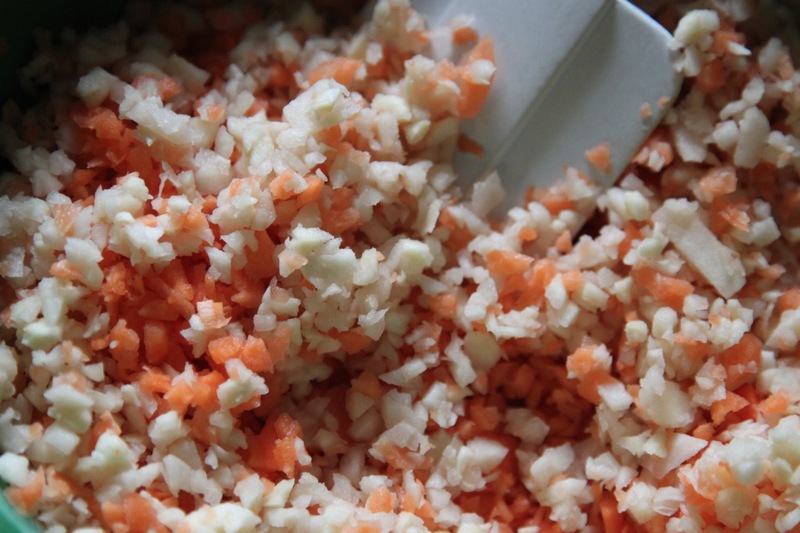 Lily’s Kitchen is one of the only processed foods that we consider acceptable for Max. 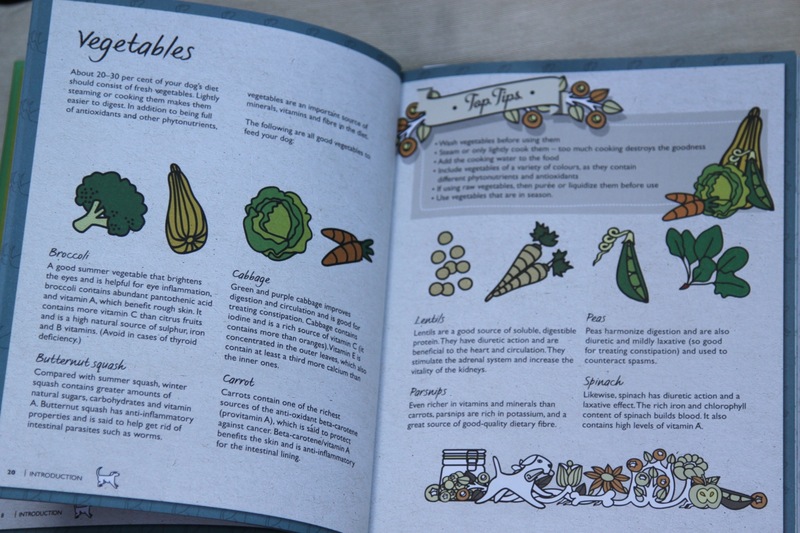 It is a great story of how a range of food and a shop have developed from the need to feed a small Border Terrier a good, gentle and wholesome diet (and it has plenty of vegetables in it). Like all small but developing businesses that are bound to succeed, Lily’s Kitchen was born of care and passion. 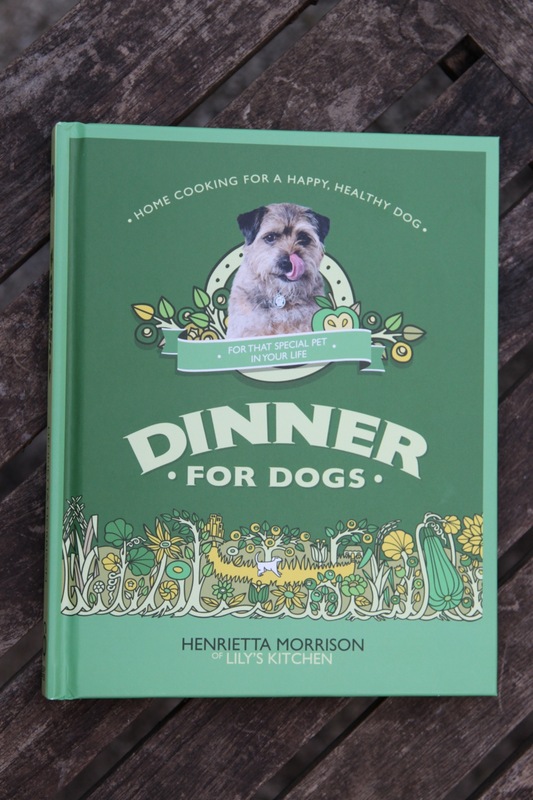 Lily, who is the Border Terrier, wasn’t eating so Henrietta Morrison, who is her loving and owner, started feeding her home made food. All based on sound nutritional information, a range of tinned foods and dry treats evolved. Max LOVES Lily’s Kitchen food. I can’t remember how we found out about Lily’s Kitchen but we’ve been fans for as long as I ever knew it existed and eventually our vet was selling Lily’s food so Max has benefitted quite a bit from it and it is our default food if raw isn’t possible. Imagine my delight when an email from Amazon popped into my in box with a recommendation for a book that I might find interesting – Lily’s Kitchen Dinners for Dogs. 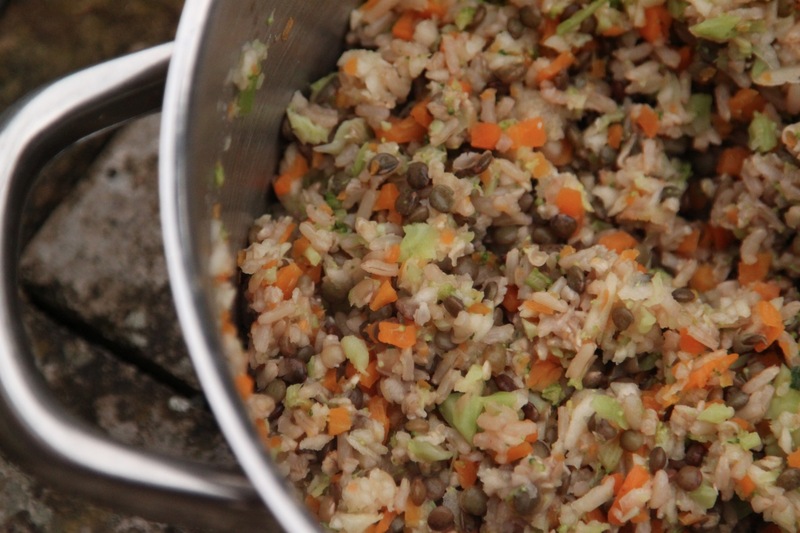 A guide to good eating for dogs and a collection of recipes to try. We ordered it immediately and it arrived in time for us to ‘digest’ it before the weekend. After a farmers market shop and a busy day, I started cooking from the recipes last night. They all sound so tasty (good enough to eat!!!) that picking one alone is almost impossible. So, I made it easy on myself and started at the beginning which meant the Kibble. 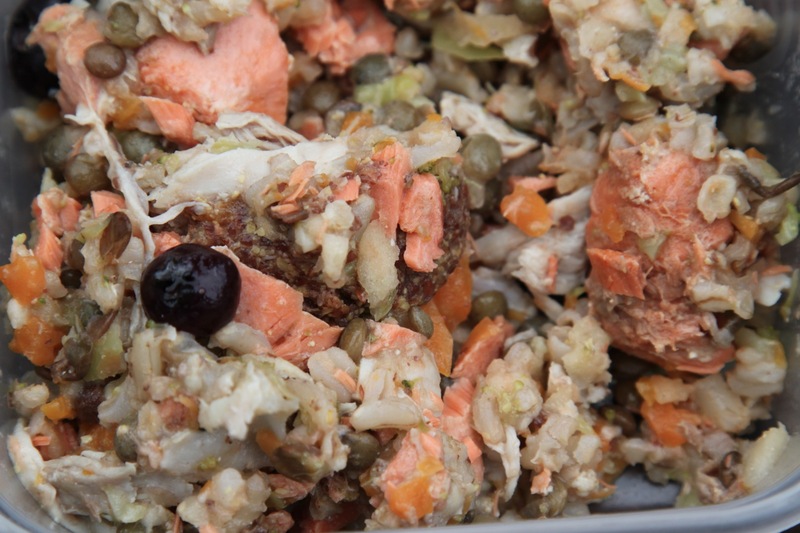 Kibble is potentially one of the worst processed foods on the market as it often contains salt, meat derivatives and goodness knows what else to fill our poor dog’s tummies. A potentially great source of nutrition and fuel but it can be so damaging if it isn’t right. That Max likes Lily’s Kitchen food isn’t being tested here but my cooking IS so I was hoping that all my efforts wouldn’t be wasted since he is now very accustomed to his raw diet!!!! Why was I concerned? There is obviously a built in ‘success’ ingredient in every single recipe and I got my first inckling of this when Max started hanging around the kitchen door while I was preparing. As I started cooking, he crept closer and became a real nuisance as he was completely under my feet. Eternal optimism is one of the things I love so much about dogs!! The kibble recipe IS incredibly tasty, I know, I’ve tasted it. There is nothing added to give it flavour like we would do with salt etc. The ingredients are simply what make it delicious. Not to leave Max’s vigilance and hopeful loitering unrewarded, I gave him a little of the kibble mix before it was baked and he just about licked off my fingerprints before he was happy that he’d got all that was on offer! A success so far, I was hopeful that baking it wouldn’t change his enjoyment of it. On a roll, I decided to do the Wonderful One Pot dish too! 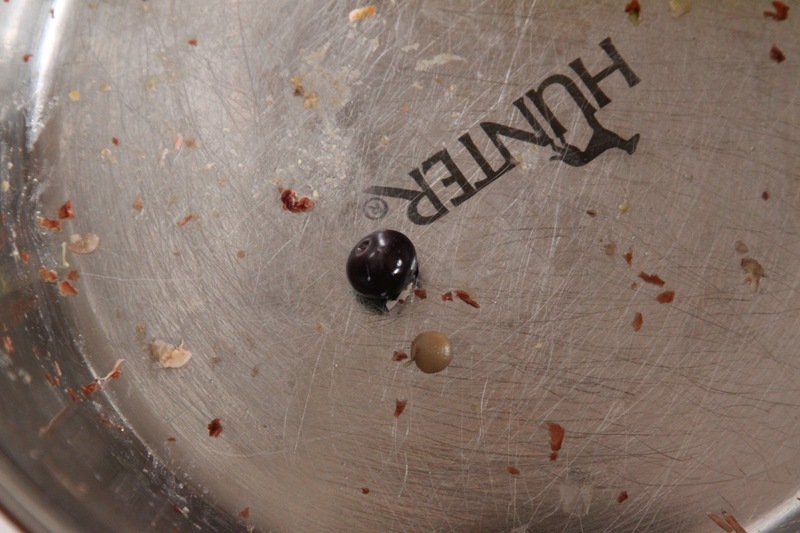 a blueberry left in the bowl……. He had the Wonderful One Pot for his breakfast this morning and loved it. 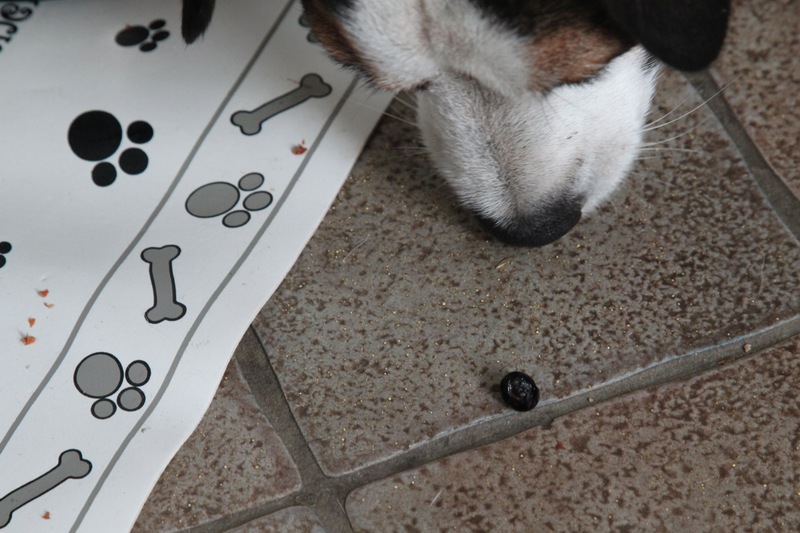 There was a moment when the blueberry was left behind but after a rethink, down it went!! An all round canine culinary success and we have about 10 days worth of food for Max as well as a biscuit tin of kibble that we will use for treats on his walks. When these have all been eaten up, we will try some of the other recipes but in the meantime, thank you very much Lily and Henrietta.